Corporal W.E. 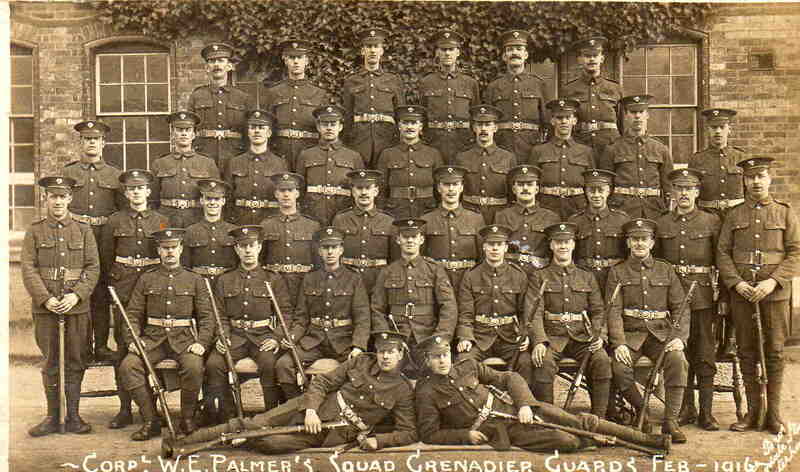 Palmers Squad February 1916. Private Bertram Hall reclining bottom left. Photograph courtesy of Barbara Cawkwell.